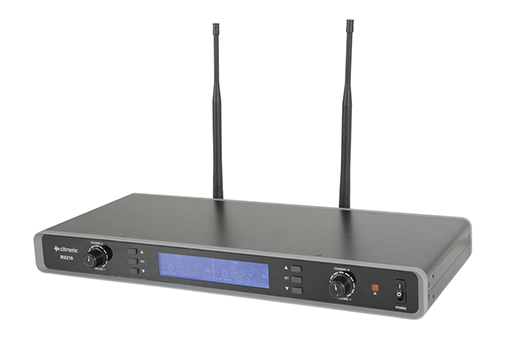 Our receiver is a dual channel PLL tuneable UHF wireless system and is designed to work with microphones such as the Handheld Microphone and Multi-Frequency Beltpack Microphone. Use with our 6 Channel Mixer for adjustment. The receiver has a range of 60 metres and is supplied with either two Multi-Frequency Beltpack Microphones or two Handheld Microphones.